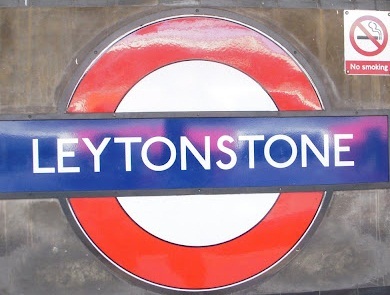 Leytonstone has the same meaning as Leyton with the addition of the word ending, stone. Recorded as Leyton at (te) Stone in 1370, tradition explains that this spot is near Leyton and the High Stone, a boundary mark. The station was opened as LEYTONSTONE by the Eastern Counties Railway on 22 August 1856 and was first used by Underground trains on 5 May 1947.